Though most cars and SUVs run on gasoline, there has been a marked increase in the number of diesel-powered models available in recent years. There are multiple reasons diesel deserves attention in today’s world of high fuel prices and efforts to make environmentally-friendly cars. Diesels get better fuel economy. 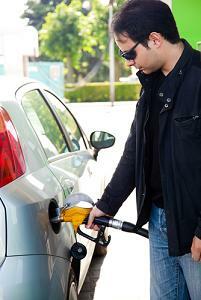 A gallon of diesel fuel produces more energy than a gallon of gasoline. And diesel engines use that energy more efficiently, using a higher compression ratio to ignite the fuel without the use of spark plugs. As a result, diesel engines can be as much as 35 percent more efficient than gasoline engines. Diesels last longer. Because they use higher compression and produce more torque, diesel engines are, by necessity, built stronger than gasoline engines. They are also simpler, since they lack an electrical ignition system and can run at lower RPMs to produce the same amount of power. The combination of strength, simplicity and slower revolutions allows diesels to generally last longer and require fewer repairs. Diesels produce cleaner emissions. Air quality used to be a knock against diesel engines, but it’s now one of the reasons diesel deserves attention. New technologies used on modern diesel vehicles eliminate almost all of the pollutants caused by diesel combustion. Diesel can be renewable. So-called biodiesel can be created from plants, algae or even trash. It can be used in most diesel vehicles without modifying the engine. And unlike the world’s limited supply of fossil fuels, such renewable energy sources will never run out. There are more diesels to choose from. You don’t have to drive a truck to take advantage of diesel’s benefits. Many vehicles now come in diesel form, including multiple Mercedes-Benz sedans and SUVs, the sporty Porsche Cayenne and several upcoming BMW models. At Swapalease.com, we have a range of such diesel vehicles available. We allow people to transfer or take over leases at any time, which makes the financing terms on luxury diesel vehicles more flexible and affordable. Contact us today for more information. This entry was posted in Leasing A Car and tagged biodiesel, buying a car, cleaner emissions, diesel engines, fuel economy, leasing a car by admin. Bookmark the permalink.